The inevitable has finally happened and Moscow and St Petersburg are fed up with craft beer — a mere mention of it evokes groans so loud they can only be topped if you also bring up gourmet burgers. 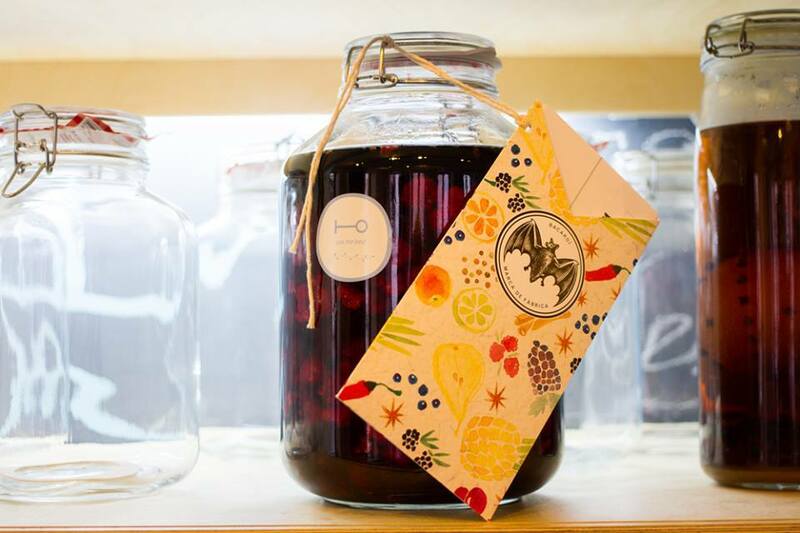 For many foodies the pints have now been replaced with shots of homemade infusions — nastoyka in Russian — homemade liqueurs, or cocktails based upon them. Even though nastoykas of various types have always been present on the alcohol scene in Moscow and St Petersburg, in places like Delicatessen, one of Moscow's main cocktail destinations, over the last few years they have been getting increasingly popular, necessitating separate drinks menus and providing inspiration for new bars. 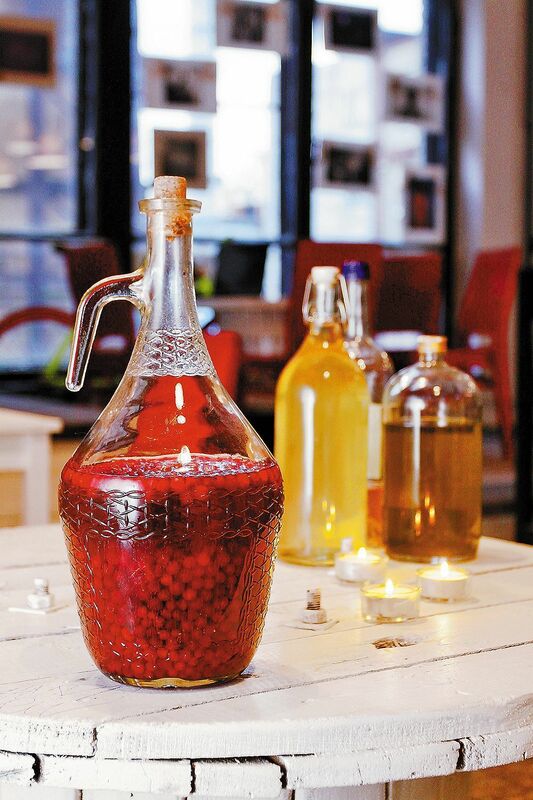 Infusions are usually made with store-bought or ready-made liquor – mainly vodka, gin, rum, brandy and whisky – and various additions like berries, fruit, herbs and spices, left to soak and lend their taste and smell to the alcohol. The fastest recipes based on fruit or berries can take as little as a week to brew, while others, based on dry herbs and spices, take months. 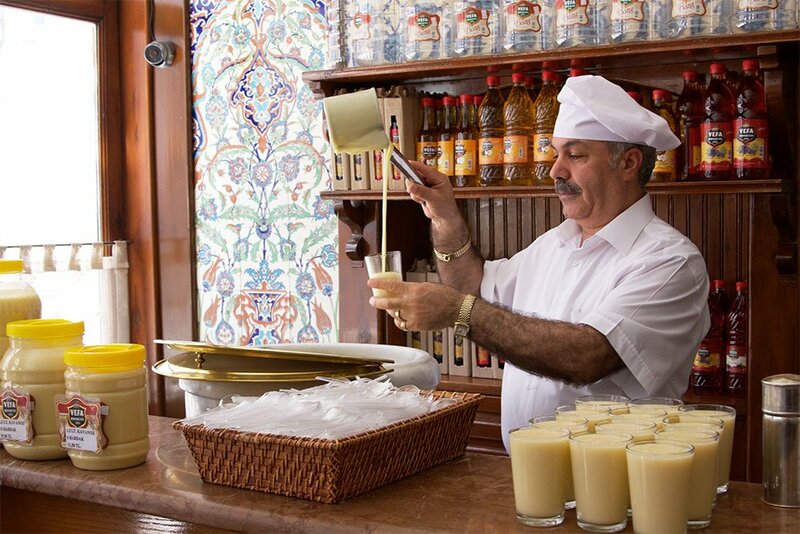 Liqueurs require sugar syrups in addition to fruit, and some have more complicated preparation technology, where the concoction has to be stirred or sieved after certain periods of time. Both nastoykas and liqueurs are typically served in shots or small aperitif glasses, either a single one or in the increasingly popular format of sets of three or four shots, usually intended to be savoured by one person over the course of some time. 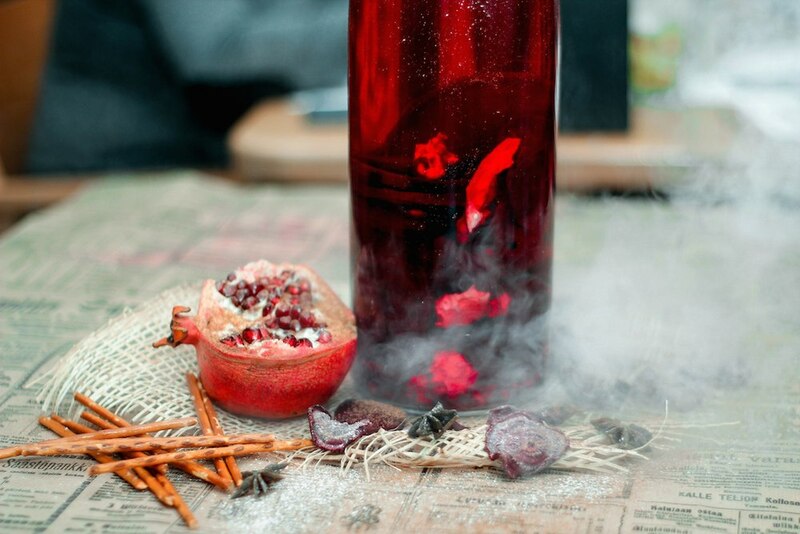 Many producers like to experiment and classic flavours like raspberry gin or cranberry vodka often sit side by side on menus with the more intriguing sea-buckthorn vodka and smoked pear black rum. Some bars develop their own secret infusion recipes, like Tortuga, a wildly popular 38% ABV drink native to the St Petersburg-based bar Cliché. Surprisingly, it doesn't taste even vaguely Caribbean, and instead seems to be a milder, less cough-syrupy version of Jägermeister, offset with a slightly Indian aroma of star anise and cardamom. Alina, one of the bar's owners and Tortuga's creators, grins and reveals only these two of over ten ingredients. 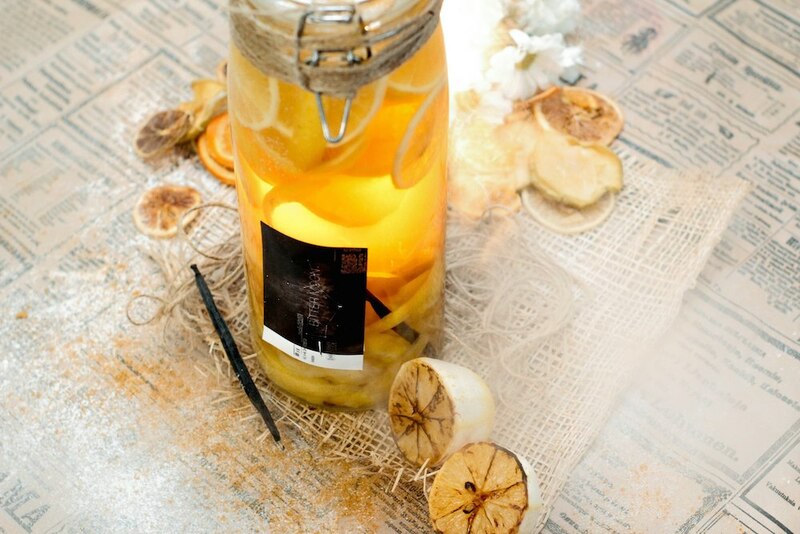 The bar, situated in a tiny room in a trendy loft, was originally a homemade project by Alina and her husband Mitya, who made and sold infusions from their flat to friends and acquaintances until they realised there was a whole business waiting to happen. And while Cliché is your ultimate unpretentious neighbourhood bar, there are all kinds of places serving craft liquor. Yunost (Youth) in Moscow is the ultimate hipster destination, a more affordable cafe from the Delicatessen team, with countless nastoykas (try the baked apple vodka) and intricate food. Buterbrodsky bar in St Petersburg, a project by another experienced restaurateur, offers sets of their homemade nastoykas (currant gin is one of the highlights) and exquisite tiny open-faced sandwiches, inspired by Danish smørrebrød. The burger bar Buro, with several locations throughout St Petersburg, offers a constantly updated nastoyka menu, largely made-up of infusions made by small local brand Bitter Moon. 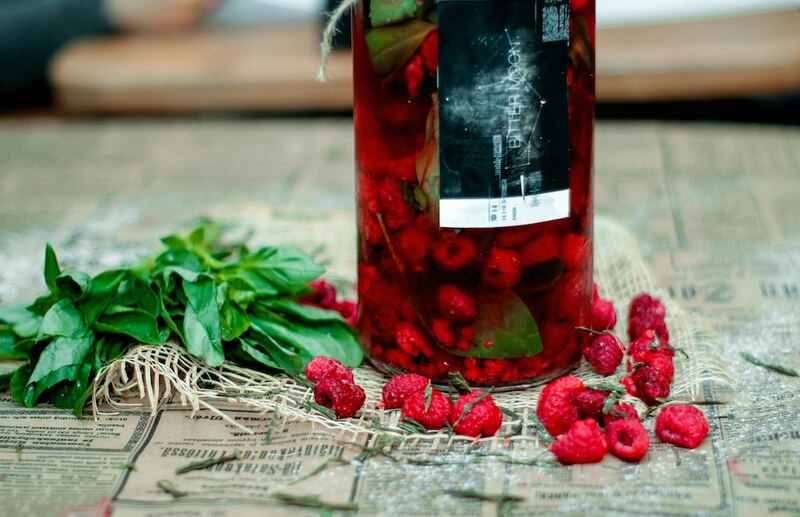 The founder of Bitter Moon is Masha, a bartender who also started infusing for her friends and later extended the business to supply Buro, as well as selling small-batch infusions through a VK group, and organising seminars and lectures on creating nastoykas for craft enthusiasts. 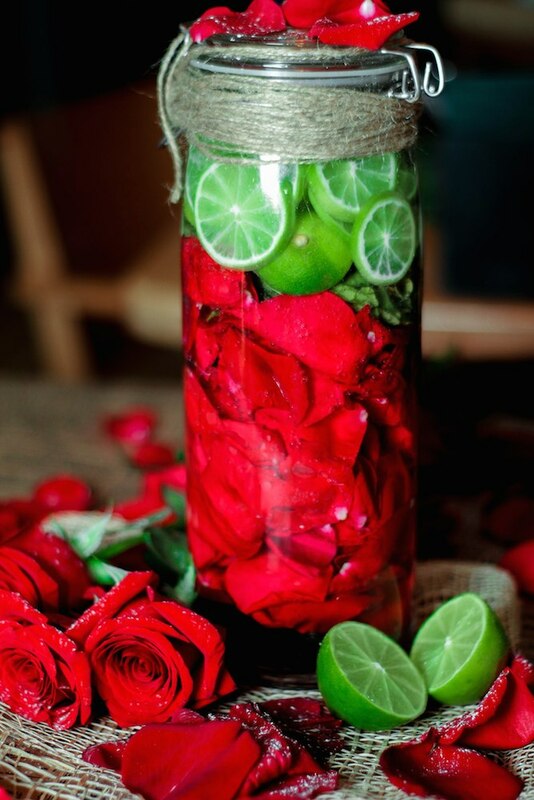 She recommends the customer-favourite beet and pomegranate and the rose petal and lime infusions. Unsurprisingly, the infusion frenzy has even spilled out beyond the bars: media like The Village and Furfur publish big overviews of the best bars to try nastoykas and liqueurs, as well as recipes to try at home and tips on the best cocktail combinations for your homemade masterpieces. 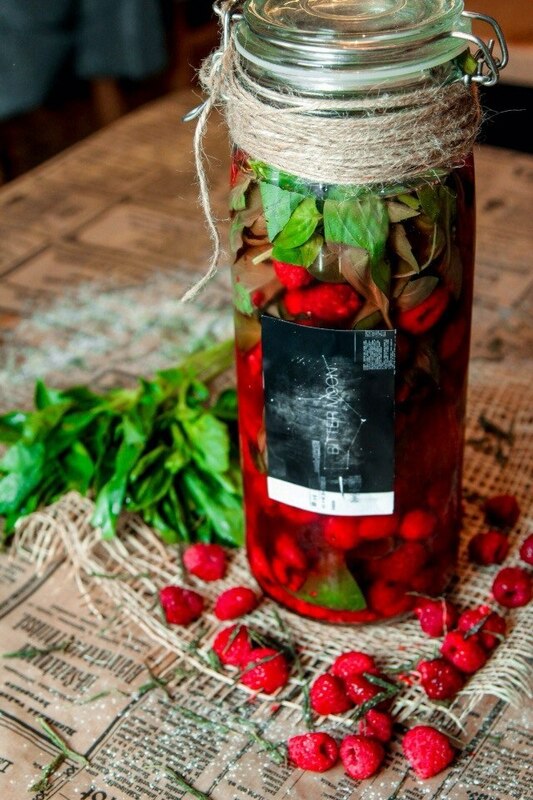 The easiest are nastoykas: in the classic combination of cherries and bourbon, the fruit and liquid are simply placed in a big jar and left for a month or so to infuse – many nastoyka infusers note that preparation times for homemade drinks often directly correlate with the willpower of the brewers. 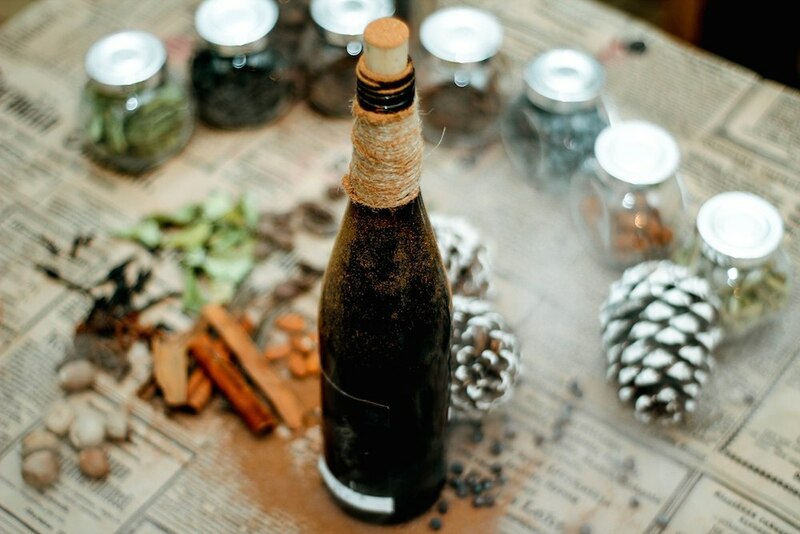 The more experienced nastoyka makers can start experimenting by adding spices, sweet liqueurs like Amaretto, or even using roasted or caramelised fruit. Russian lifestyle website Afisha even suggested that the trend might develop as far as samogon (home-distilled vodka) which could become the future of Russian hipster alcohol consumption. 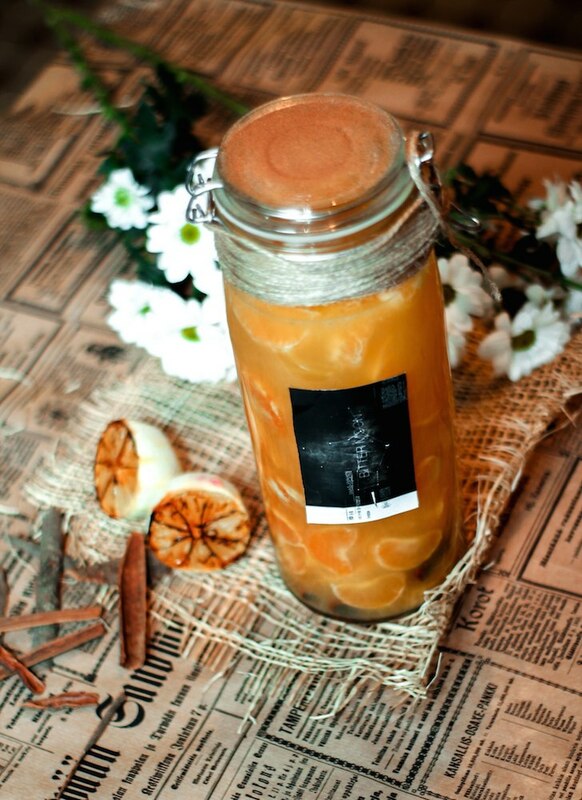 However, selling home-distilled vodka without a licence remains illegal in Russia, so, in a way, nastoykas are the best bet for all alcohol-related DIYs. Many say that the nastoyka trend resembles the hipster appreciation for moonshine and other home-distilled beverages in America, and recent films and TV shows like Boardwalk Empire and Lawless. Chasing craft whisky with pickle juice, originally an American combination also called pickleback, may be the tried-and-tested drink for trendy Hackney clubs like Oslo, but nastoyka enthusiasts in Russia say that our trend bears little connection to the Prohibition-era nostalgia. If anything, it's just boredom combined with a craving for everything customised and handmade that is driving the infusion craze. 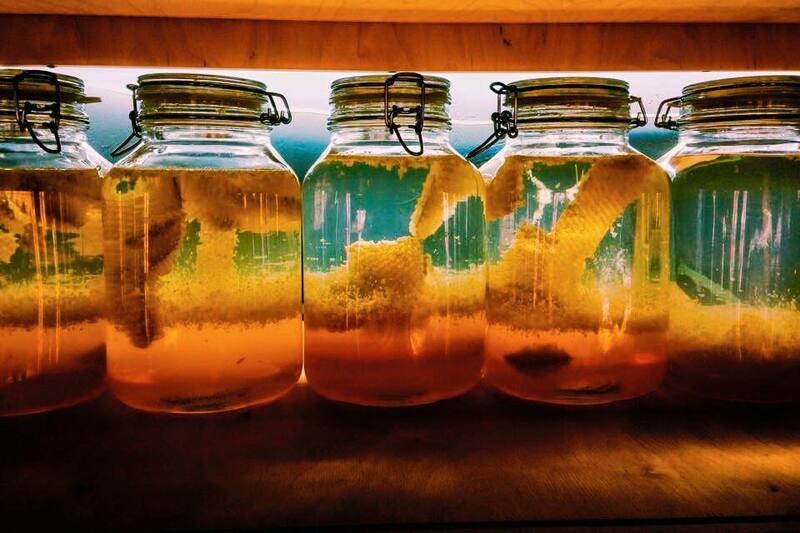 People are sick of craft beer, wine is more difficult to DIY, and you can't drink cocktails all the time – that's where infusions step in as a stellar alcohol alternative. 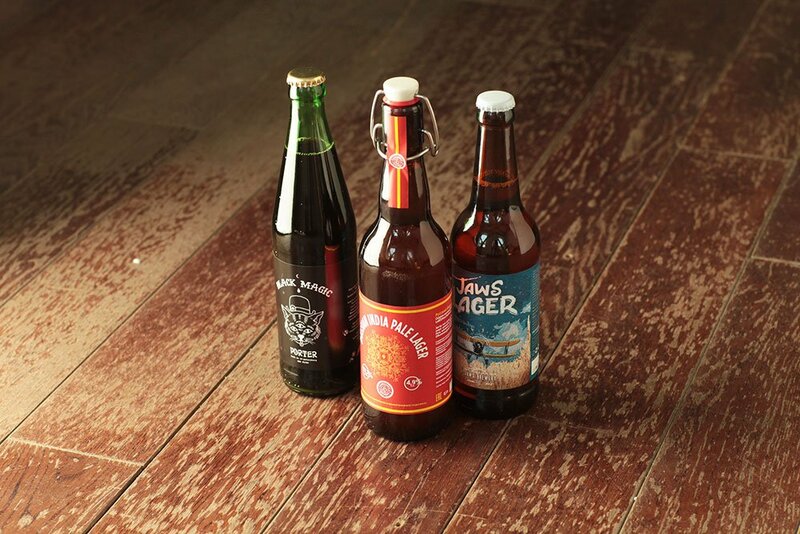 If anything, nastoykas make more sense in Russia than craft beer because they are a big part of our cultural heritage. And even though Alina, Masha and other chefs who make a business out of nastoykas now deny the importance of this cultural connection, cranberry vodka is arguably one of the biggest Russia-related cliches. The phrase “Let's drink some kluykvennaya” (cranberry infusion) could easily be a line from a cute Soviet comedy we might have all known since we were kids. Nastoykas fit into the cultural environment, into the vague expectations of Russian-ness that we all simultaneously avoid and crave.